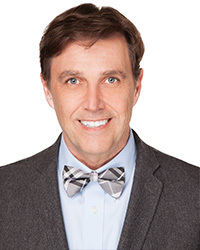 Dr. Werner joined USAHS in Fall 2012 and has over two decades of experience in private practice. He completed a BS in Physical Therapy and a BS in Psychology in the School of Arts, Letters, and Science at the University of Wisconsin La Crosse. He earned an MA and PhD in Human and Organizational Systems in the School of Human and Organization Development at Fielding Graduate University, Santa Barbara, CA. After earning his PhD, Werner embarked on a 3-year Fellow position, as a theoretician, with the Institute of Social Innovation, Santa Barbara, CA. In addition, he completed a yearlong evidence-based, accredited executive coach-training program by the International Coach Federation. Werner’s areas of clinical specialization are in the fields of orthopedic & sports injury care, the management of chronic postural dysfunction, and the use of Pilates and Gyrotonics for sport specific training. Scholarly research interests and service vary considerably. Doctoral research stemmed from a longtime need to understand the emotional component of injury and illness and how those components influence healing and recovery. Current research interests seek to understand the associations between epistemologies, methods of inquiry, and research question-type. Werner also has a keen interest to unearth sound physical therapy case study methodologies that integrate quantitative-based outcome measures and qualitatively-defined quality of life (QOL) indicators common in social science. Werner served on the Board of Directors for the Private Practice Section of the American Physical Therapy Association (APTA), as both a Director and as a Vice-President & Strategic Plan Monitor, and on committees for the American Council of Academic Physical Therapy (ACAPT). Werner is a member of the APTA and the Texas Chapter of the APTA. In addition, he is a member of the Academy of PT Education, the Academy of Orthopedic PT, and the Private Practice Section of APTA. In his free time, he enjoys exploring national parks, art, music and playing the violin.